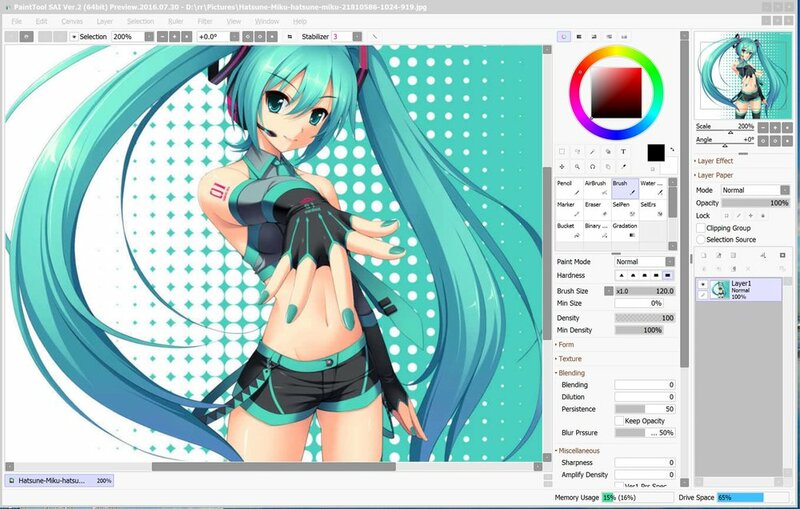 Paint Tool SAI 1.x developed a large loyal following of manga artists over the years due to its outstanding brush engine, but its glacial development since the release of Clip Studio Paint has almost relegated it to has-been status. Most recently the release of the Windows 10 Anniversary Update changed the way the OS handles UI scaling and loading SAI 1.x on a UHD tablet like the Surface Pro 4 yields eye-straining results. Users of the original version should feel right at home in 2.0, but it sadly lacks any of the tablet friendly features I expect in an application published in 2016. And though reasonably priced at about $54, it faces an uphill battle winning over users of free software.